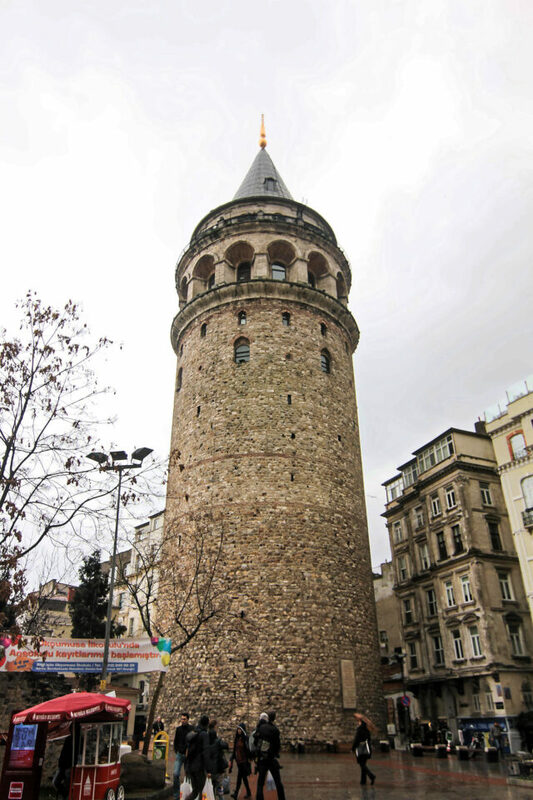 Directions: Galata Tower is a 10-20 minutes walking distance from most of the major tourist hotels within Istanbul. You can even use the metro and it will drop you a few meters from the tower. Please note that it is on a hill, so be prepared to walk on steep slopes and make sure to wear comfortable and grippy walking shoes. 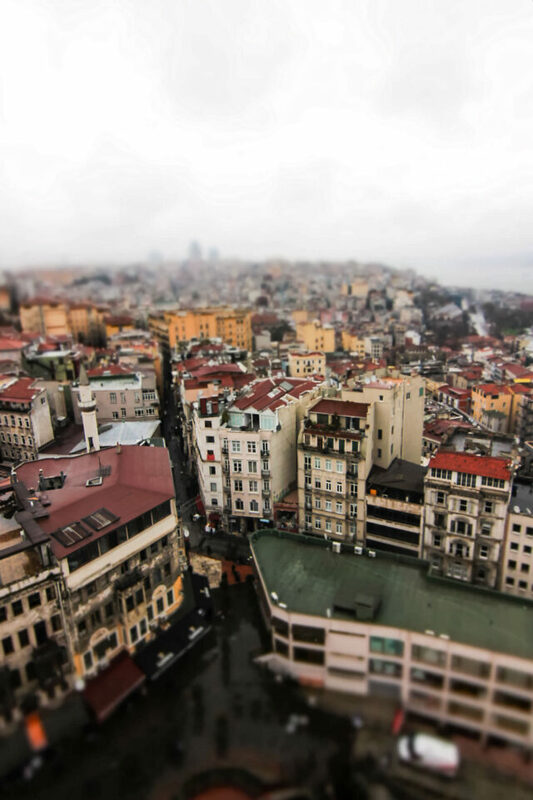 Galata Tower has been standing on a hill for almost nine centuries now. At 62.5m it may seem a little short to be called a tower, but it stands atop a steep hill and provides 360 degree views of Istanbul. 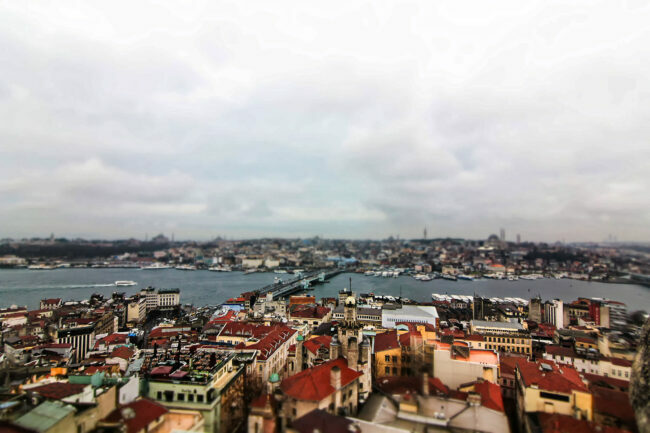 The views are astounding, starting from Aya Sofi and the Blue mosque to the wide expence of the Bosphorus. The waiting times can be quite long, but is worth the view. Note that the viewing area is extremely narrow, so setting up a tripod is out of question, so is night time long exposure photograhpy as the tower closes by 5pm (7pm during summer). A good wide angle and a telezoom should be enough, but remember it can get very windy, so a steady hand and high shutter times are a must.